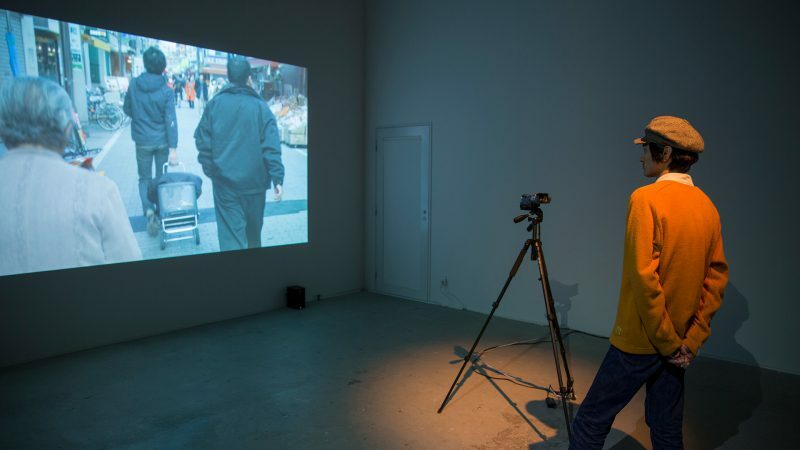 Still, seems to be myself is an interactive installation using an edited film and a live camera. Live viewing media, especially one with self image, looks like most credible image that provide the existence of own self. 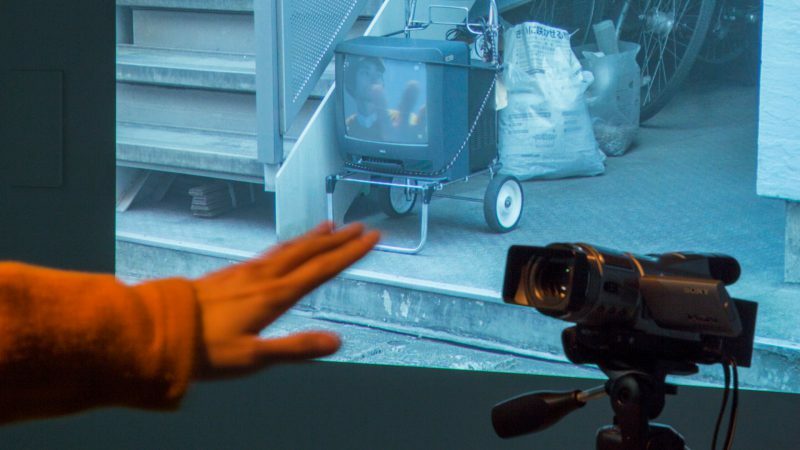 This work tries to shake ones authenticity in the video image and existence of reality through the insertion of a live video into an edited film that has no consistency temporally and spatially. The viewer observes a spectacle that one’s own live video, originally has secured self existence, intervenes in a fictional short film one-sidedly without own agreement. 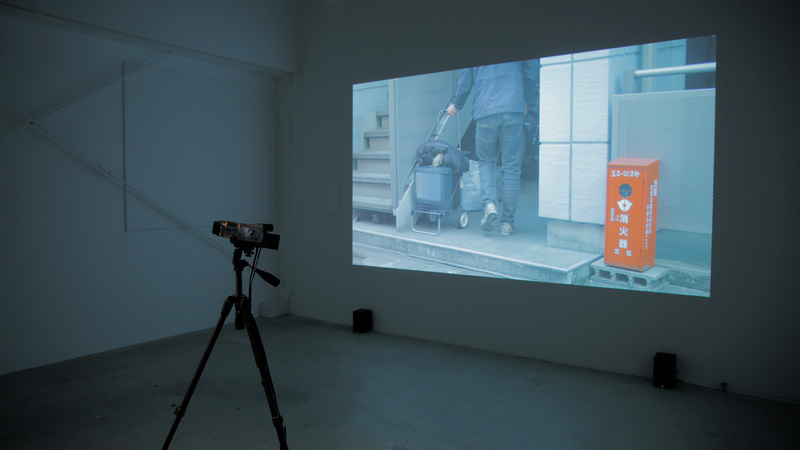 In this installation, the film has all authority of control and it uses a live image as a material of the scene independently against the viewer’s intention. It occurs noble narrative between captured viewer and the film or observer of them and the film. Therefore, those are fabricated as independent sequences in viewer’s mind.